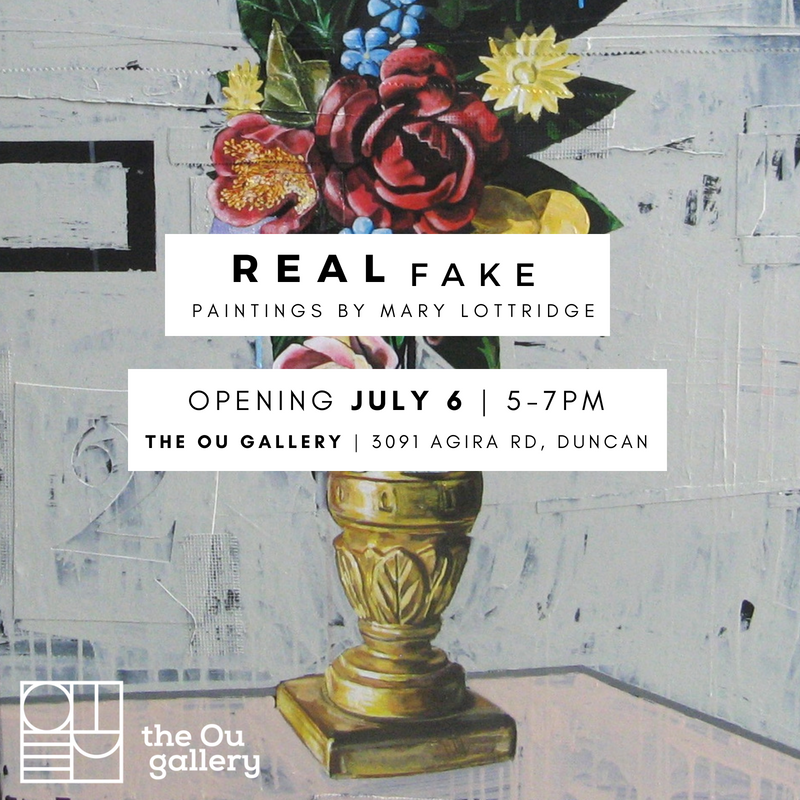 We're thrilled to present REAL FAKE - a series of paintings by the kind & genuine, Mary Lottridge. A graduate from Emily Carr & UBC, Mary currently lives on Pender Island & has had an active studio practice for over 30 years. 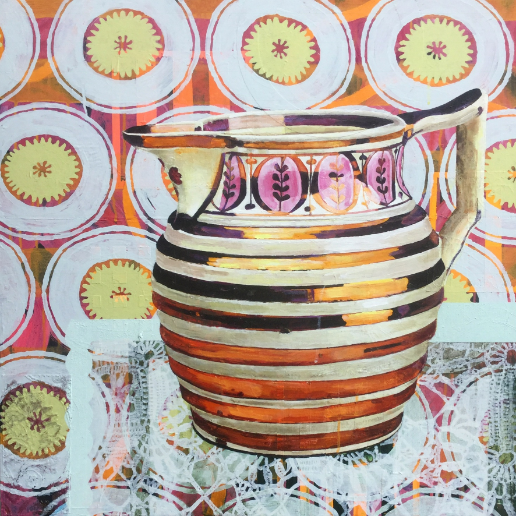 Her work is just so damn good; vibrant, modern realism with nostalgic subjects - antiques that you may have seen in your mother's china cabinet, tin toys, and relics of a simpler time. ”We hear the word fake used a lot right now, and I thought it would be interesting to paint things that are clearly fake, and to explore the idea of painting a copy of a copy of a copy, etc. At what point does the process of reproduction render the image inauthentic? "'Fake' is defined as ‘a piece of manipulation, a dodge’, and I think of all the things that are ‘tricked up’ to look like something they aren’t; polyesters that masquerade as snake skin, plastic discs that refract light in such a way to look like sparkly gems…our bedazzled world seduces us with the illusion of glamour and plenty, but often there is no substance under the shine.